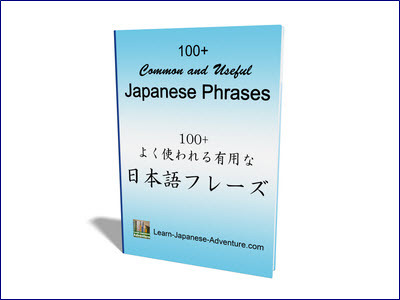 It will be useful to know some common Japanese phrases even you have not learned Japanese before. 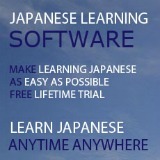 This can be especially beneficial when you are travelling in Japan and requiring some help from the natives. Although English is an international language, most Japanese people still don't have good command of it. If you can communicate with them with the commonly used phrases, they will understand you better and give you appropriate advices. And you will have a more enjoyable trip. If you are going to work in Japan, it is still worth the effort to have the commonly used phrases in your "inventory" even if knowing Japanese is not a pre-requisite for this job. You never know when you will need them. And if you are going there to study, either short term or long term, it is still better to learn some phrases beforehand. You will definitely use them in the classroom. You may have known plenty of Japanese words and vocabulary, but when it comes to conversation, you need to know how Japanese people speak. Therefore it is important to know some commonly used phrases. I have already mentioned some phrases on Japanese greetings in Basic lesson 1. This list includes additional phrases on greetings. 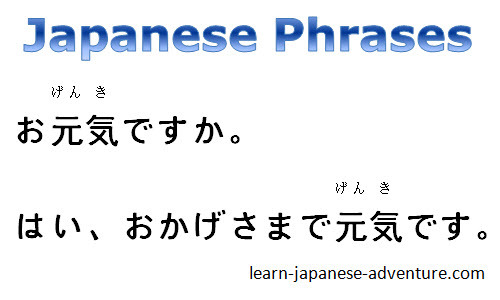 As mentioned earlier, study some commonly used phrases in advance will be beneficial if you are planning to study in Japan or if you are attending a Japanese language class. Remember some basic phrases of Japanese before you make your trip to Japan for vacation. You will find them very useful when communicating to the native Japanese. 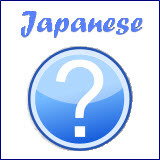 You may also want to refer to the list of Japanese travel words and vocabulary. Looking for more phrases? If that is so, you got to try out this easy Japanese course online that teaches you many useful Japanese phrases used in daily conversation.